One of a kind penthouse in a 90 year old luxury apartment building constructed by renown architect Christian Schindler. Historically protected building on a wide tree-lined Boulevard located downtown in the colonial historic district (the "casco historico") in the charming neighborhood of SAN TELMO. Top (4th) floor apartment with two huge bedrooms, 1.5 baths, 3 traditional ornate wrought iron balconies that face the boulevard, bay windows, 12 foot ceilings, original hardwood and ceramic tile floors, and stunning urban views (primarily northern exposure--but also southern) of the cityscape and Lezama Park. The apt has tons of windows, great light, and in summer almost always gets a cool breeze from the river. Old style windows have external wooden locking shutters for extra security and privacy. Huge rooftop terrace, only 8 units in the building (two per floor). 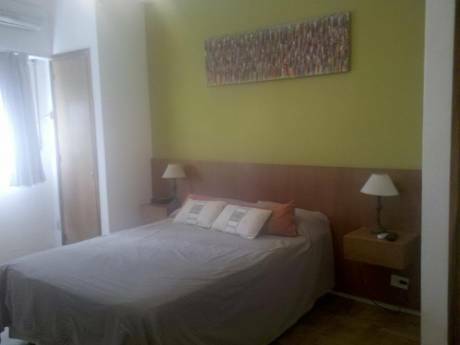 A luxurious apartment in the old world style (includes high speed broadband wireless internet/WiFi). 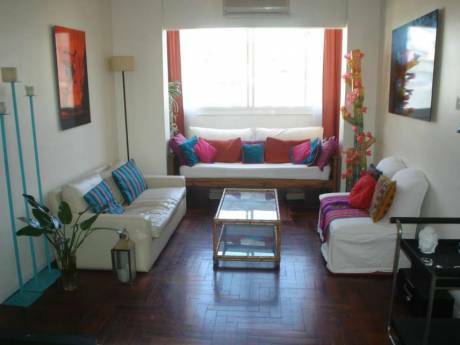 Fabulous location in downtown, steps away from San Telmo's biggest park--Parque Lezama and the Museo Historico Nacional. Cobblestone streets, beautiful old colonial architecture, a multitude of great cafes, bars, restaurants, tango, museums, tons of antique shops, and the host to flea/antiques markets and street musicians every weekend in the Plaza Dorrego and in Parque Lezama. A charming neighborhood with a decidedly urban bohemian feel, which is home to many artists, musicians, actors, and film makers. Lately this neighborhood has become a popular backdrop for American and European production companies shooting TV commercials. In fact, this apt is located in an architectural gem of a building which was used as a backdrop for a scene in the 2004 film "THE MOTORCYCLE DIARIES." 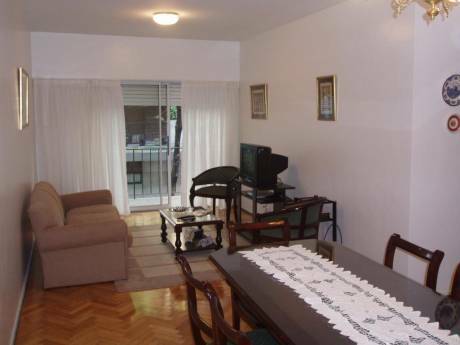 Centrally located, in close proximity to everything, with easy access to mass transit, subway, buses, etc. A 5 minute bus ride to the picturesque area of LA BOCA. A 7 block walk to the southern end of the newly renovated upscale port area known as PUERTO MADERO, with its floating casinos, high end restaurants, marina, yacht club, and great nightlife along the river. Also located nearby, the PARQUE ECOLOGICO (Ecological River Park) with its hike and bike trails, lakes, lagoons, bird watching, and lovely picnic spots. A short cab ride to Buquebus, the catamaran ferry service that leaves from a dock at the north end of Puerto Madero and makes daily trips to the cities of Montevideo and Colonia in URUGUAY.